After over two decades of catering the finest affairs in the region, internationally traveled executive chef Josyane Colwell is opening Le Moulin Eatery and Wine Bar (“The Mill”), a unique experience on the historic Yonkers waterfront. 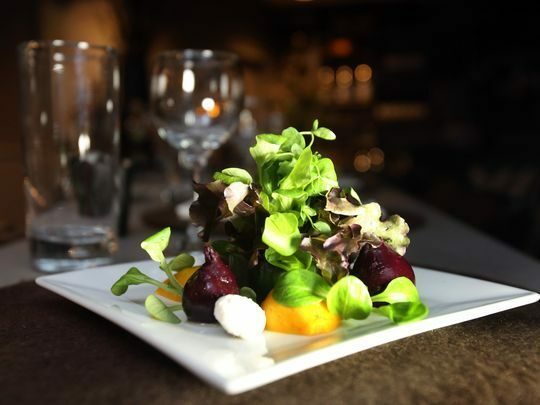 Part wine bar, part eatery, Le Moulin combines old world country elegance with the casual atmosphere of a neighborhood café. Its light filled space with stunning Hudson and Palisades views is the perfect setting to enjoy a glass of wine deliciously paired with Josyane’s ‘Tentations Gourmandes’ – a menu of creative small plates inspired by her early life in the south of France, always using fresh, local and seasonal ingredients.\n\nThis stylish cafe overlooks the majestic Hudson River in Downtown Yonkers. The world renowned chef and owner of Le Moulin, Josyane Colwell, brings a heightened sense of beauty and artistry to the exquisite dining experiences she creates for her clients. For over thirty years she has created successful events for celebrities, “people like us”, and corporations. Her unique style and special talents make these occasions not just memorable, but magical. Le Moulin’s diverse and exciting changing wine list, offers a daily selection of wines by the glass, meant to be tasted and enjoyed alone or among friends. Le Moulin is a place dedicated to the pleasure of good food, wine and the arts.\n\nAbout Le Moulin\nWhen planning weddings, corporate events or fundraisers, Josyane has an uncanny ability to mirror and amplify what the clients want to tell those who join them at such a special moment. She brings her coordination skills and sense of complete responsibility to every occasion, whether it is a three-day business conference for Fortune 500 CEO’s at the Pratt Mansion in New York City, a holiday party for ABC, NBC or Sky Team or an intimate dinner party at home. To learn more about Le Moulin, go to http://www.lemoulincatering.com.